Specialist solutions for the faithful refurbishment of listed buildings. 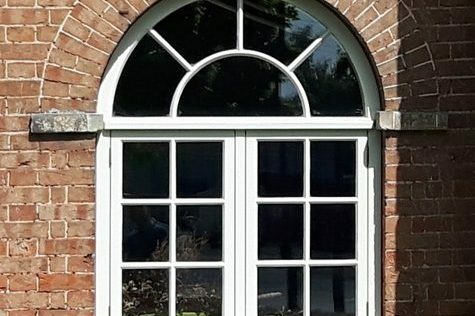 Specialist single or heritage double glazed sash windows and flush casement windows for listed buildings, complete, if required, with period glazing to emulate the gentle, wavy reflection of handblown glass. Invented in the mid 17th century in London, the humble sash window went on to transform British architecture throughout the Georgian, Victorian and Edwardian era’s. The elegant proportions and slim sightlines form the most beautiful and efficient window style history has produced. Despite their beauty, sash windows have always been plagued with maintenance problems such as rot, swelling or warping of the woodwork, rattling in the wind due to shrinkage in the timber, and problems brought on by careless application of paint. 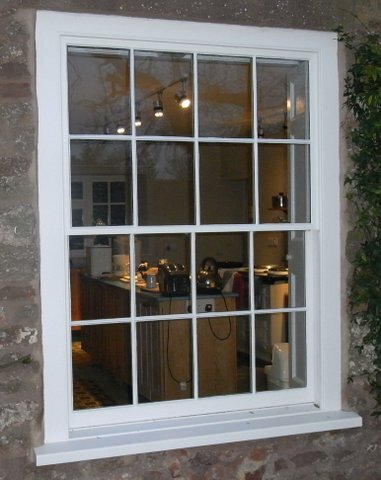 The sliding mechanism of sash windows makes them more vulnerable to these problems than traditional casement windows. Our sash windows are manufactured from engineered timber to combat any movement, each opener has 4 full wrap-around seals that are concealed out of sight to stop draughts and rattles. To carry the extra weight of double glazing we use a chain system similar to the method used in some Georgian sash windows, this solves the problem of stretching and snapping of cords. We are able to offer a range of bar sizes down to 18mm to match the most slender of designs. The acrylic based microporous paint provides maximum protection whilst letting the wood breath, this means we can offer an insurance backed guarantee covering the paint finish for 8 years. Our slim sash is the thinnest double glazed, traditionally weighted sash window on the market, which means it can replace that of the original perfectly without affecting the internal architrave and decoration. 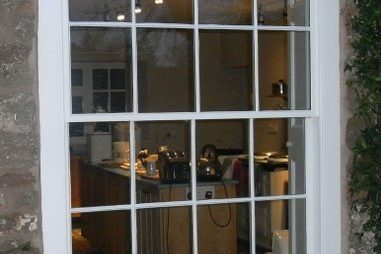 As with all of our windows and doors, our sash windows are internally glazed to prevent the glass being removed from outside. Our sash windows are fitted with 2 traditional fitch catches which are key lockable for insurance approval. We can install a limit stop set to any height which allows ventilation in a secure position. 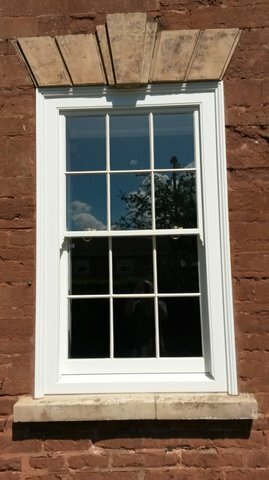 Our sash windows are all made bespoke, which means you can have them pretty much any size and in any configuration. You can choose from lots of colours and a number of stained finishes and can have a different finish inside to outside as well as different coloured openers to the frame. We offer this range in Softwood, Hardwood, PVC and Aluminium. 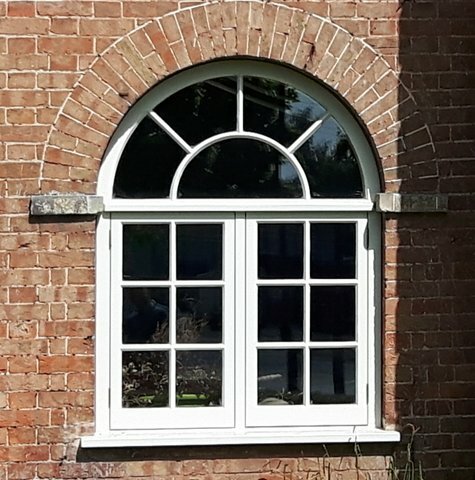 Our Conservation Casement window features many bespoke options, allowing them to be closely tailored to the individual requirements of a historic or period building. 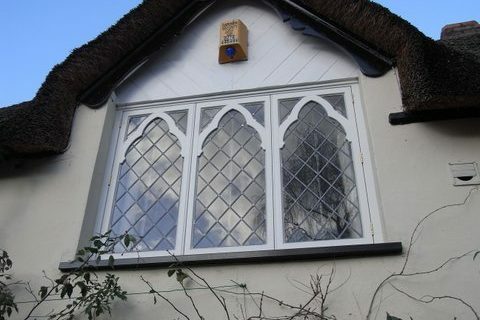 A wide choice of profiles are available including Georgian, Gothic, Victorian, Queen Anne and Lambs Tongue designs to faithfully replicate a host of period styles. 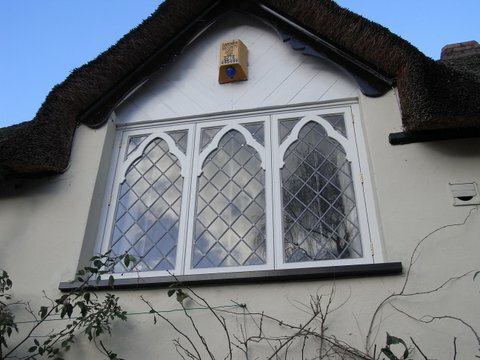 Double glazing in a range of thickness is available to satisfy planning requirements for certain listed buildings. 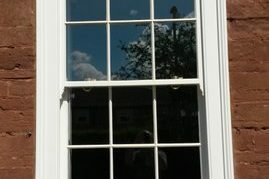 Heritage style glasses may also be specified to give an authentic, uneven finish to the panes. We work closely with our local planning authority so we can supply you with the drawings you need, we can advise at initial contact whether LBC (listed building consent) can be achieved and to what degree.